The Dynamics Cart and Track System with Motion Encoder is a revolutionary way for physics students to study dynamics. The Motion Encoder adds an optical position sensing system to record cart motion and eliminates the need for a motion detector for cart-on-track activities. Winner of the 2014 World Didac Award The Dynamics Cart and Track System with Motion Encoder allows students to explore kinematics, dynamics, momentum, and energy with the ease and precision of optical motion sensing. The Motion Encoder is an optical position sensing system that records cart motion and eliminates the need for a motion detector for cart-on-track activities. In addition to a Motion Encoder Cart and Receiver, this system includes an aluminum track, a low-friction plastic plunger cart, an ultra pulley, and all of the necessary attachment accessories. 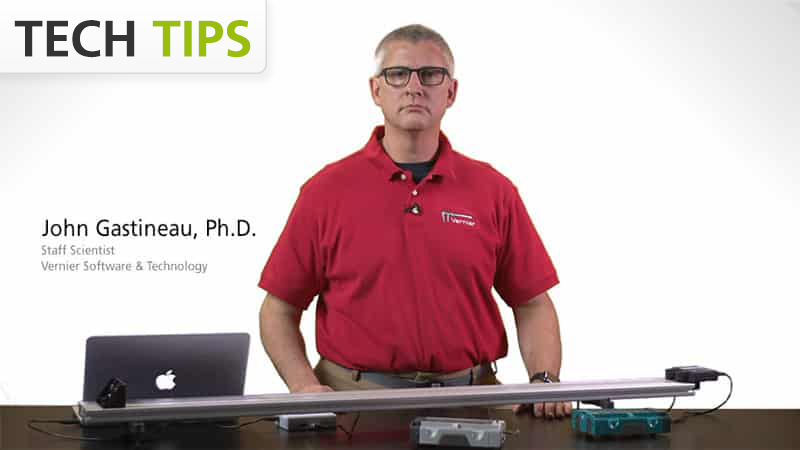 If you have ever been frustrated by the need to tweak the alignment of a motion detector, you will be pleased by the data your students collect using the Motion Encoder. An optical sensor beneath the dynamics cart senses the passage of the cart over a marked strip on the track. The position information is sent as an encoded IR signal to a receiver at the track’s end. By avoiding the possibility of stray sound reflections, this optical-only system provides excellent, repeatable, and noise-resistant motion data. Because the position information is relayed by a narrow IR beam, the addition of a second Motion Encoder Cart and Receiver allows students to record the positions of two carts simultaneously. Now collision experiments to study momentum and energy are very easy to configure. Already Own a Dynamics Cart and Track System? The Dynamics Cart and Track System with Motion Encoder and Long Track includes the parts listed above but substitutes a 2.2 m track for the 1.2 m track.